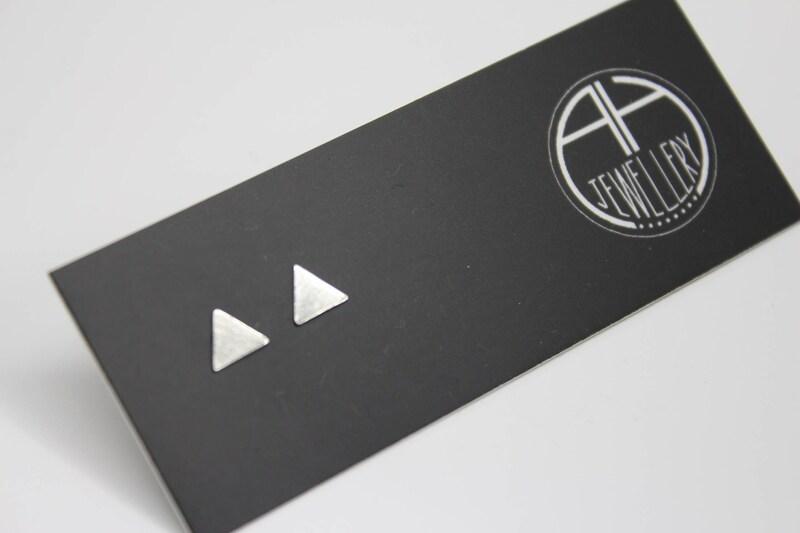 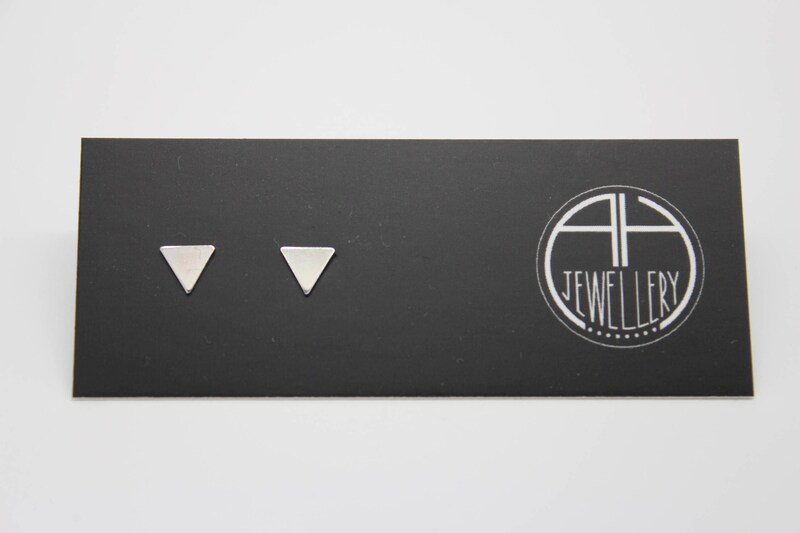 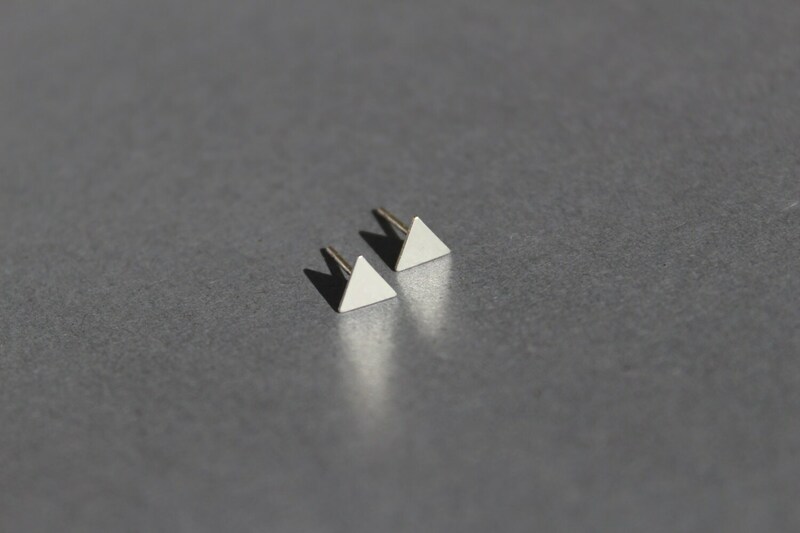 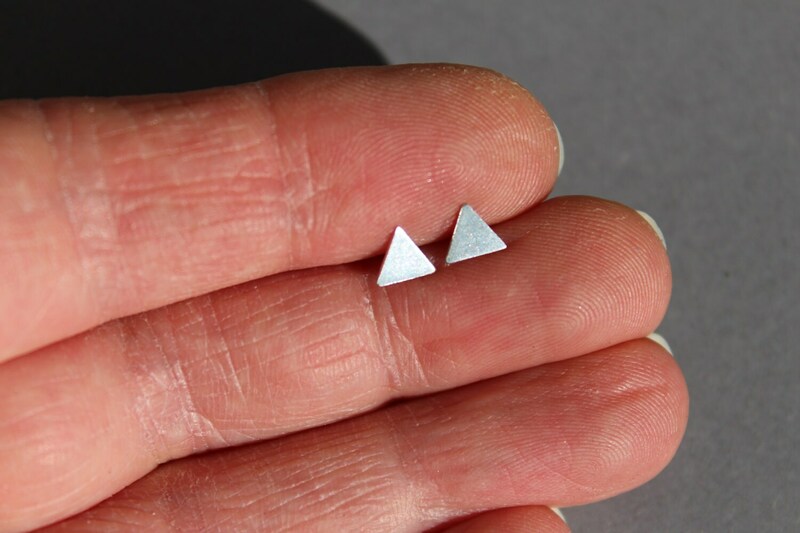 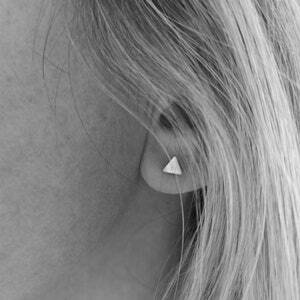 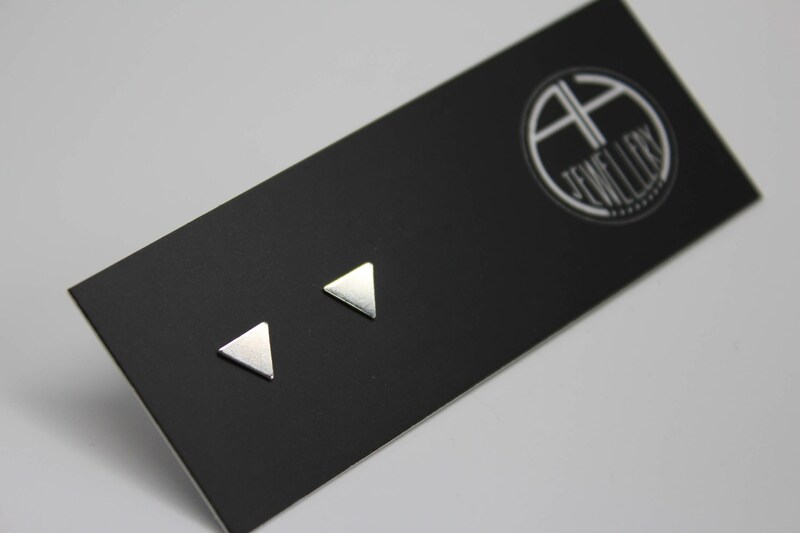 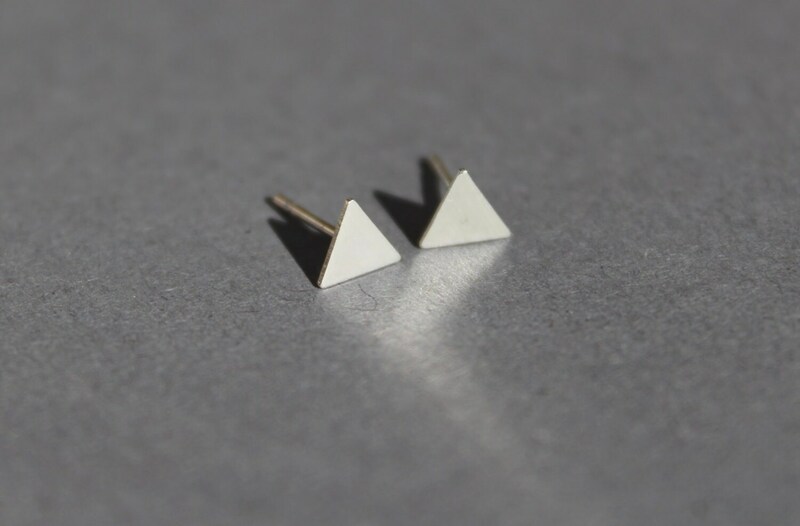 Teeny tiny triangle studs made from sterling silver or copper - perfect for everyday wear! 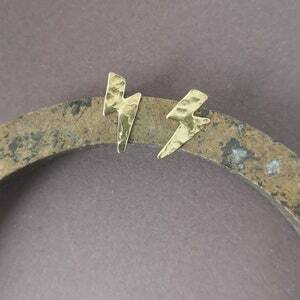 Both silver and copper studs are made with sterling silver posts and scrolls. 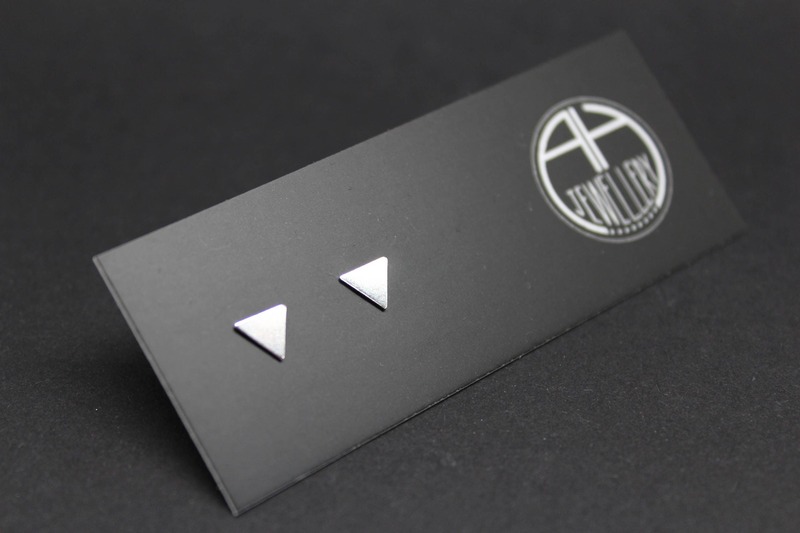 They measure 6mm across each side. 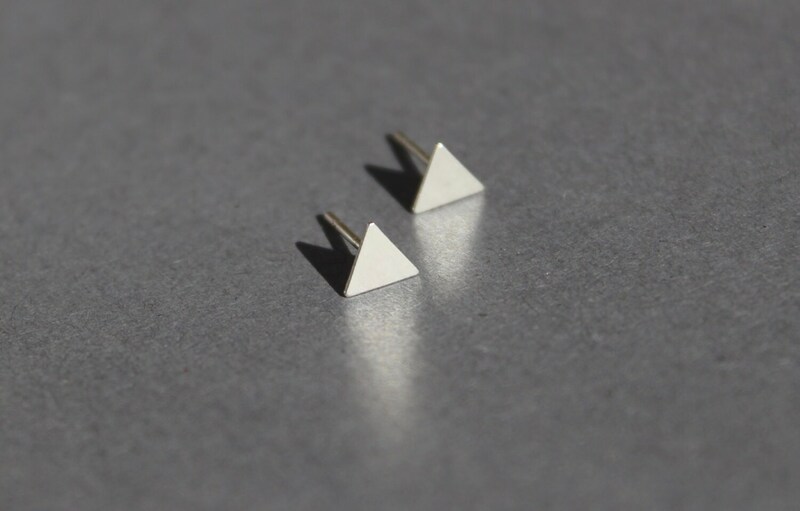 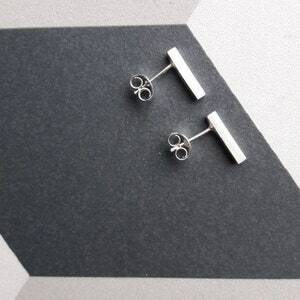 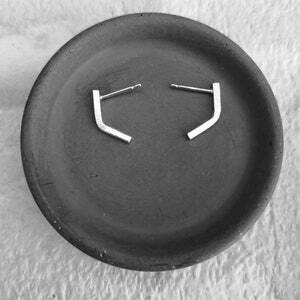 They also look great in 2nd hole studs further up the ear, as they are quite small and dainty.